Rochester, NY- Semrock proudly announces the production of the world’s first 11-band filter with steep edges within a 100nm wide spectral window. The filter has high transmission and exceptional blocking outside each of the eleven. 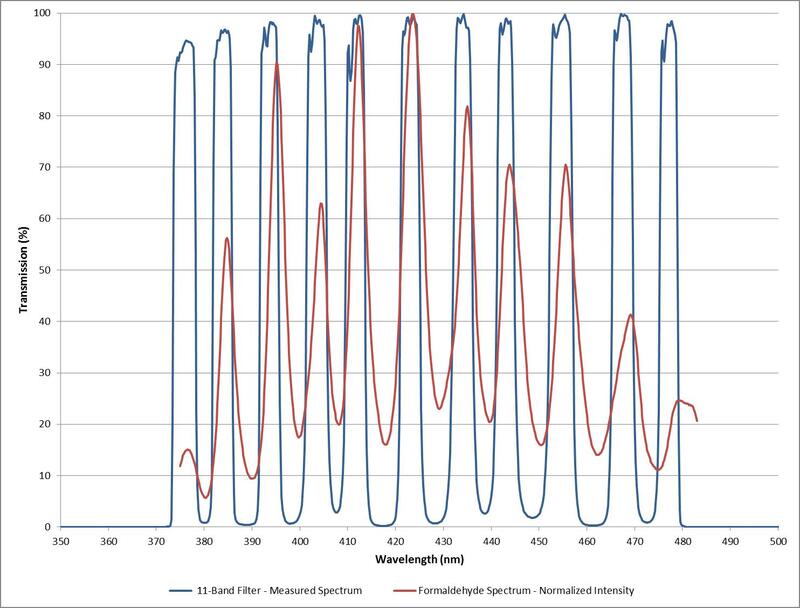 The unmatched spectral complexity of this 11-band filter was designed specifically to match the corresponding formaldehyde fluorescence emission spikes over the 380-480nm wavelength range. The filter can be utilized investigate the homogeneous charge combustion ignition (HCCI) combustion process.